Phones are getting massive, and even the smaller versions of Android flagships these days aren't all that small. 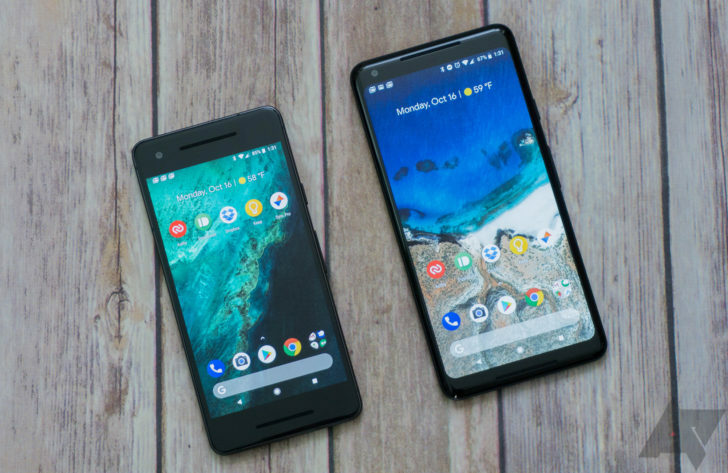 The Pixel 2 has a 5.0" display, the Galaxy S8 a 5.8" unit (the 18:9 ratio skews that a bit), the P20 a 5.8-incher, and so on. Sony is the only holdout in the game with its 4.6" Xperia XZ1 Compact. 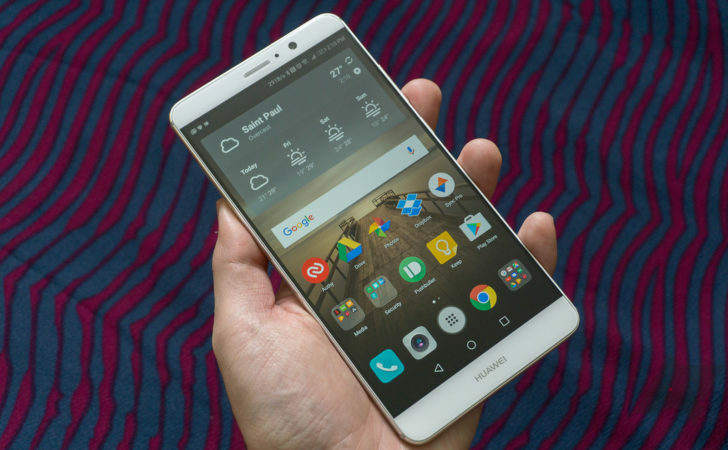 If you long for a phone that you can easily use one-handed, this phone might be your match. It's currently down to an all-time low of $399.99 on Best Buy and Amazon, as well as $379.99 on B&H if you like pink. Remember when we all thought the Galaxy Nexus's 4.65" display was enormous? Those days are long gone, but thankfully, Sony will still sell you a flagship with a screen about that large. 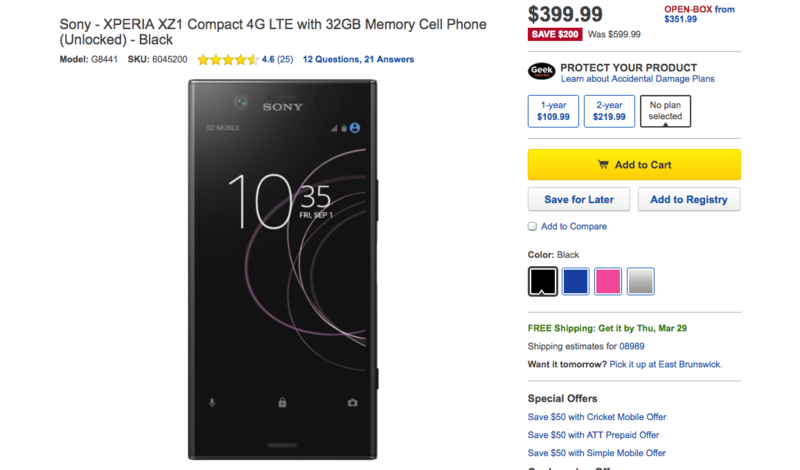 The Xperia XZ1 Compact, originally priced at $599.99, has dropped to just $449 on eBay with a coupon code. Alternatively, you can grab one from Best Buy for $499.99 and get a free $50 gift card included. Today, virtually the smallest mainstream Android flagship on the market is the 5.0" Pixel 2. 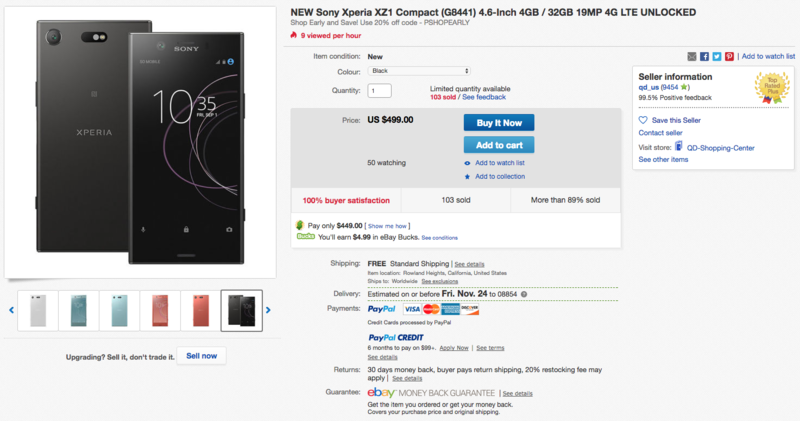 That's a nice phone, but it's pricey and might still be too big for your liking. 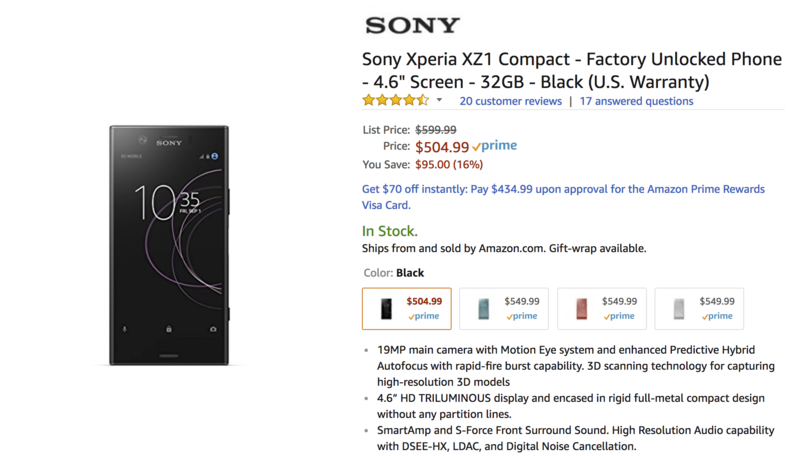 It's a good thing that the Xperia XZ1 Compact exists, then, and it's even better that it's currently discounted on Amazon to just $504.99. 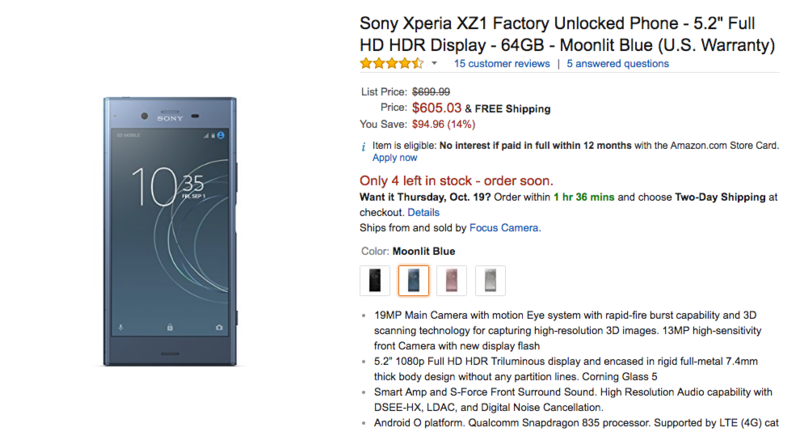 That's nearly $100 off on a still-new phone. 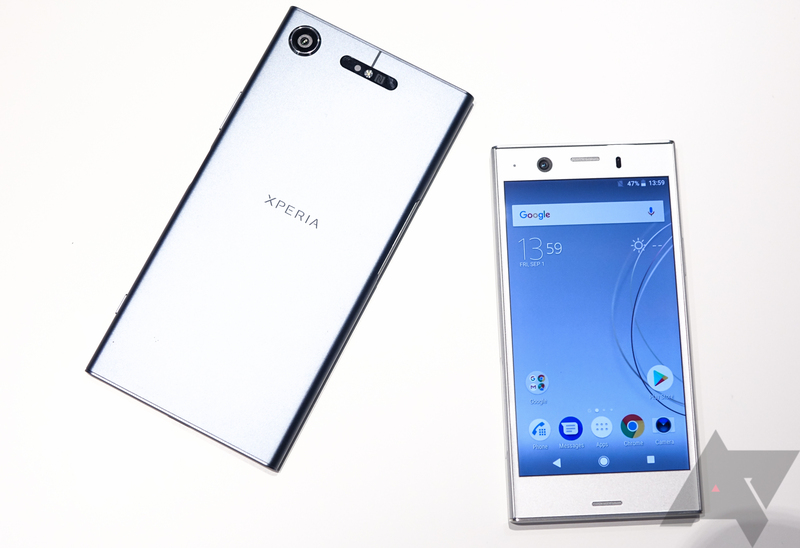 Sony has been a surprisingly developer-friendly Android phone maker, with its Open Devices program giving anyone the opportunity to build and flash custom versions of the OS firmware on its devices. 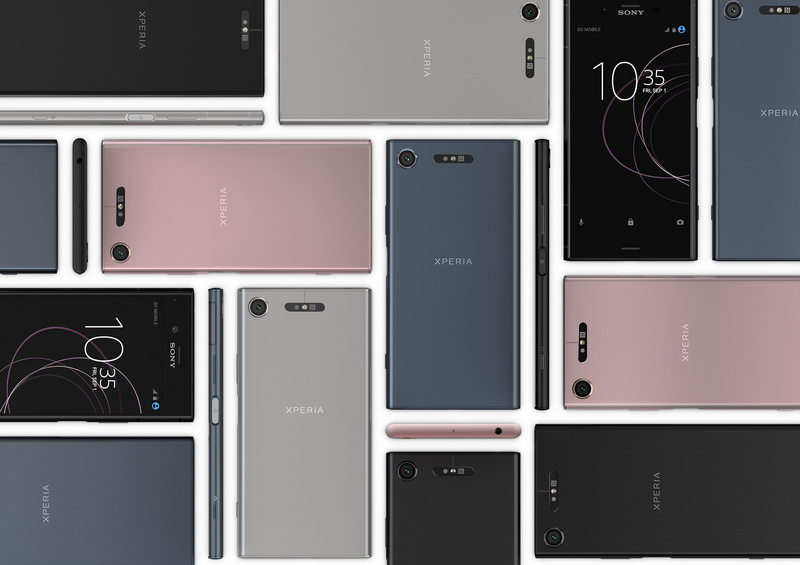 A few days ago Sony published the relevant binaries for the latest AOSP version of Android 8.0 Oreo for a number of its phones, and now it's added two newer Xperia models. 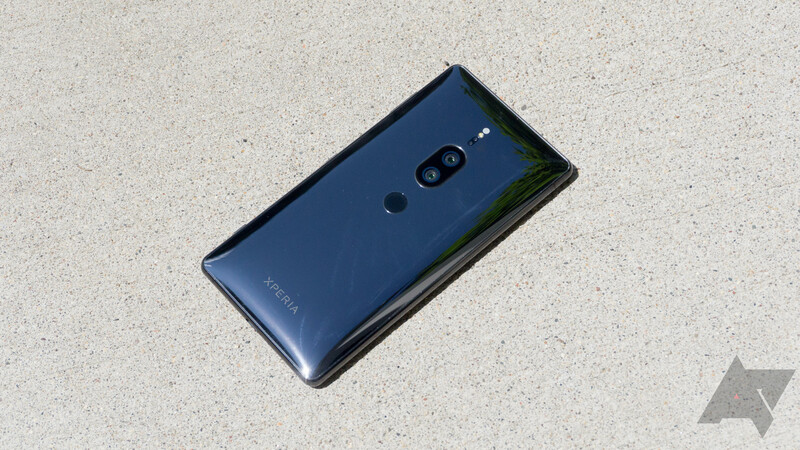 The XZ1 and XZ1 Compact were launched at the end of August at IFA 2017 in Berlin. They're essentially the same as their predecessors, the XZ and X Compact, on the outside, with updated internals such as the Snapdragon 835. We're in the thick of the holiday phone season, what with Apple's 2017 lineup on the table, Samsung's Note 8 available, and the Pixel announcement next week. Not to be deterred by all of that, Sony has opened up pre-orders for its next phone, the Xperia XZ1 Compact.